Heavy Rains expected in Kolkata on Sunday 21st...between 70-90 mms possible. Windy conditions . Mumbai:Seeing the Possibility of marginal rainfall increase this weekend, maybe Saturday and Sunday. This is possible as system may retain minimal strength. 1. BB-8 located in the SE Uttar Pradesh and adjoining North MP region.This system has weakened, and will weaken further as it tracks West into M.P. 2. Friday and Saturday will see heavy rains, lashing Central M.P. and moving Westwards.BB-8 weakens to a Low pressure by Sunday. Showers in Eastern Gujarat ( Gujarat Region barring Saurashtra) on Sunday. 3. It is expected to dissipate over the West MP region by Sunday evening. 4. As the system moves west, rains decreasing markedly from Friday evening in East M.P.Markedly subdued rainfall this weekend in entire interior Peninsula, and Eastern States of W Bengal, Odisha, Jharkhand and Bihar. Bhopal will see rains increasing from Friday evening and raining into Saturday. 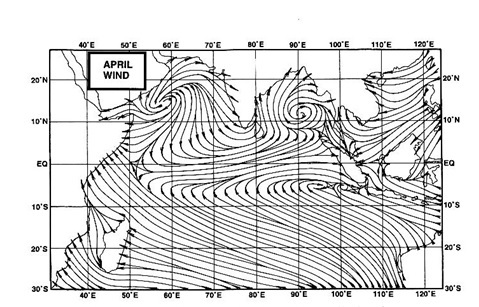 Bhopal can expect windy conditions and rains > 100 mms from Friday evening - Saturday evening. Indore sees increasing rains also from Friday Night into Saturday. But lesser intensity as the system weakens. During the Saturday /Sunday period, the Monsoon axis will be tilted.Its Western end will be in Pak Punjab, and axis will run Southwards into M.P. and Odisha. Mumbai: A marginal increase in rain showers on Friday. Rain amount about 15 mms. Saturday and Sunday will see around 7-10 mms of rains. Slight increase in rains on Friday in Interior North Konkan also. Sir is any hope of heavy rain for saurashtra from this system? When will Mumbai get real heavy rains of > 50 or > 100 mms sir? Himanshu: Not much rains for Saurashtra from this system. Rains upto East Gujarat region possible. Wasim: I do not see any depression coming on Sunday. I would have mentioned it in this post. Arjun: Mumbai will get some marginal increase this weekend, but not 50 -100 mms. Around 30 mms. Rajesh sir... What is the reason for sudden stop in Mumbai monsoon? No rains since last 15 days. This year was a good forecast. What is the study saying about future period remaining? No offshore trough. This seems disappointing. vinod/akshay: I do not see any major or meaningful improvement in Mumbai rains till 28th August...at least.expecting a small "spurt" on Sunday 21st..possibly. Even with the systems BB-7 and BB-8, the monsoon axis remains far North in the western sector. Remember, i had mentioned of a "break monsoon" condition coming few days back. akshay: In vagaries Long Term Forecast, much better rains are seen in September for West coast. Sir,what is the normal amount of rains in roha-mumbai region in september?what do you forecast rains in september ,will it be excess?By how much percent .